They were the forgotten among the forgotten. Nearly 20 years ago, when Veterans Affairs Canada documented the "discrimination and outright fraud" perpetrated against the country's aboriginal war veterans, it deliberately excluded former Métis soldiers. David Chartrand, vice-president of the Métis National Council, said he could never understand "the insult," nor why senior Veterans Affairs officials fought so hard for years against compensating those former soldiers who risked their lives for Canada during the Second World War and the Korea conflict. Bureaucrats were so determined to block compensation for Métis, in fact, that when the Métis National Council and other organizations wanted access to federal government files that could have proved their claims of systemic discrimination, they were blocked. The department's own internal records dismissed the issue this way: "Métis veterans did not face the same administrative realities as First Nations veterans." It has been years since the federal government compensated status aboriginal veterans for being shut out of postwar benefits programs to which they were entitled. This week's federal budget set aside $30 million to "commemorate" forgotten Métis soldiers. There may be as few as five of those veterans left alive. "It'll be late, but at least it'll be there," said Chartand, who has spent the better part of the last two decades fighting for compensation for both former soldiers and their families. A House of Commons veterans committee investigated the official discrimination against former aboriginal soldiers; it sidestepped the question of accountability in a recent study. "Members do not have enough information to make an informed judgment on the reasons that prevented the government from settling with Métis veterans," said the committee report, released last month. The money in the federal budget, Chartrand said, will be used to set up a trust fund to benefit the survivors and their descendants. At some point in the future, the federal government also will offer an official apology and possibly a land settlement. Many former soldiers who fought for their country overseas were given access to loans and grants to establish farms. Métis ex-soldiers who applied for that money faced indifference, "discrimination" and "racial answers from young bureaucrats at Veterans Affairs" and were told to "go back to their traplines," said Chartrand, who interviewed a number of survivors. "So a lot of them, of course, never went back again after their treatment." The apology and the offer of compensation fits into the Liberal government's broader narrative of reconciliation with Indigenous Canadians, but Chartrand said the experience left many Métis broken, bitter and wondering why they fought. "We were good at what we did and we fought hard for Canada," he said. "In the end, they didn't get personal care. They didn't get mental care and many of them end up dying young. And many of them ended up dying in a bottle with their kids not understanding the horrors of what they went through." One of the challenges ahead for the council will be to track down surviving veterans and their families. First Nations veterans may have been easier as a group for the federal government to compensate because they lived on reserves, where registration of their claims — and instances of Ottawa's failure to approve them — were easier to document. 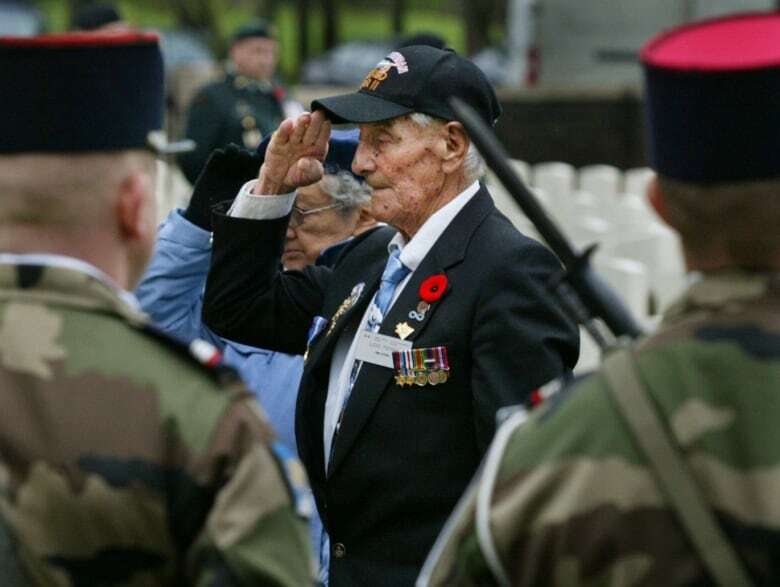 Métis veterans didn't live on reserves. Often, they came from communities in remote corners of Western Canada. After the war, some Métis vets in Alberta and Saskatchewan were told by the federal government to "move to collectively held Metis settlements or Métis farms," the Commons committee report said. "Injustice is more difficult to document for Métis veterans because they did not live on reserve and therefore were not 'Status,' which would have made them more easily identifiable," the report said. Three years ago, the Supreme Court of Canada ruled that the federal government had jurisdiction over Métis people and Indigenous people without Indian status. That means the government has the same responsibilities towards them as it does towards status Indians and Inuit.